Why even carry a pistol if you’re any less than 100 percent certain that its ammo can keep you safe when you most need it? 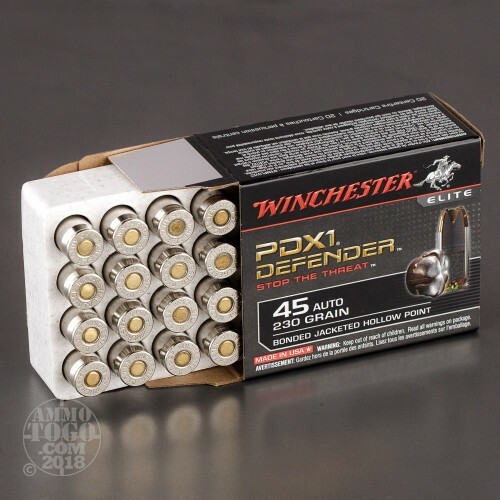 This 45 ACP round from Winchester’s Defender line of ammunition has a 230 grain PDX1 projectile, the core and jacket of which have been welded together via its manufacturer’s own proprietary bonding process, so it will separate as little as possible as it busts through common urban barriers and penetrates deeply within a threat. 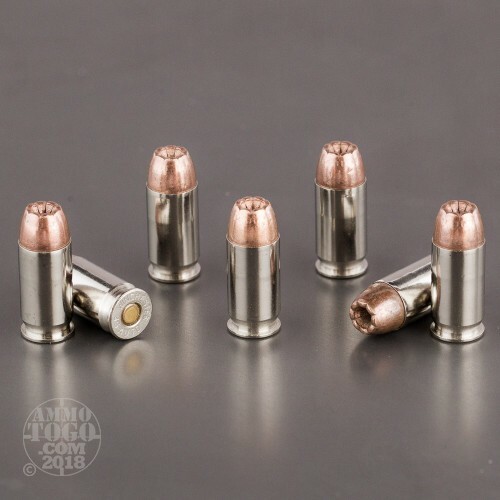 The bullet’s hollow point consistently expands up to 1.5 times its original diameter to improve its chance of making mincemeat of vital organs, and the notches in its tip preprograms it to reliably spread out along six predetermined axes. Try this round out for yourself on some ballistic gel and see why its performance won the business of the FBI! The best bullet in the world is still just a bullet without the right components to complement its performance. This round won’t fail you for having corroded, as its brass casing wears shiny nickel plating. The lubricious casing further guarantees smooth feeding and ejection, so you’ll not be left hanging by a jam during a fight. Winchester’s non-corrosive primer and clean burning propellant will let you train with this case of ammo without having to take pause for a cleaning! 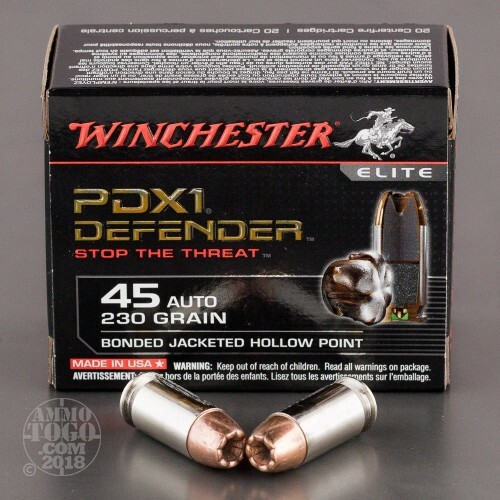 We fired five rounds of this Winchester Ammunition 45 ACP (Auto) ammo through a cloth barrier into Clear Ballistics calibrated synthetic gelatin and recorded the results. For these tests, we used a Ruger SR45 with a 4.5-inch barrel. In the photos, graphics and video on this page, you can see specifically how the Winchester Ammunition ammo performed and how it sticks up with the rest of the 45 ACP (Auto) ammo we have tested so far. 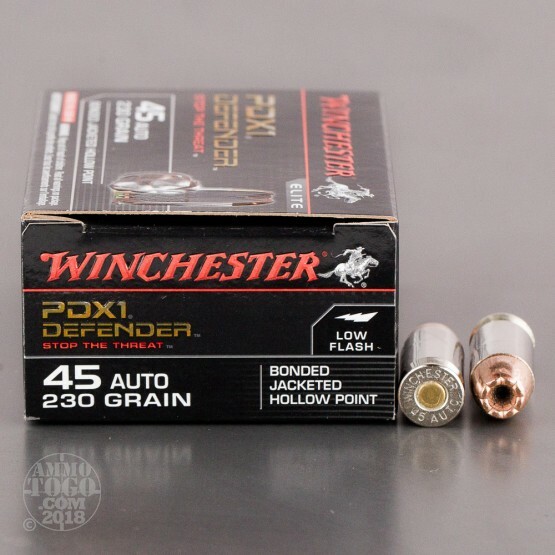 Expansion Diameter Compared to All 45 ACP (Auto) Ammo Tested MIN 0.45" MEDIAN 0.64" THIS AMMO 0.73" U.S. dime MAX 1.04"